After a two-hour debate Tuesday, the Illinois Senate approved a new school funding bill seen by opponents as a bailout for the financially struggling Chicago Public Schools. Senate Bill 231 cleared the Democrat-majority Senate by a vote of 31-21. 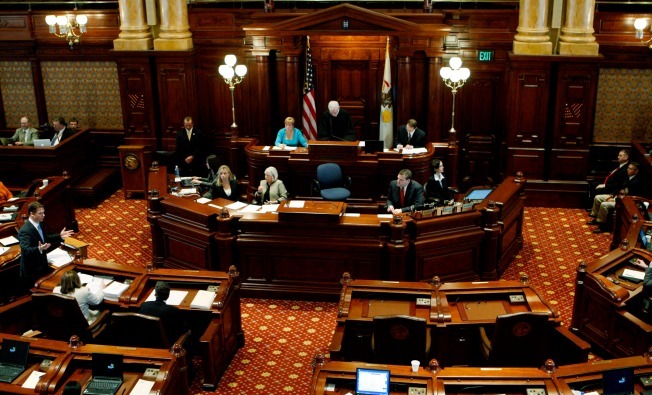 The proposal now moves to the Illinois House, where insiders believe it likely won't pass. Gov. Bruce Rauner has voiced opposition to the plan. Sen. Michael Hastings said in a statement the bill would reduce general state aid and require local schools to become more dependent on property taxes. "We pay an extraordinary amount of property taxes in the suburbs," he said. "SB 231 would cause our area to lose approximately $10 million in education funding and would shift this cost to residents by way of property taxes,” Hastings said. “As a former school board member, I worked hard to balance our budget and act financially responsible. We should not punish responsible school boards, but we should demand fiscal responsibility of legislators in Springfield." Chicago Public Schools called the bill's passage "an important step forward to make sure that students in low-income and minority school districts all over the state get the education that they deserve."